Accessorize Ring Tab Leather Backpack is rated 5.0 out of 5 by 1. 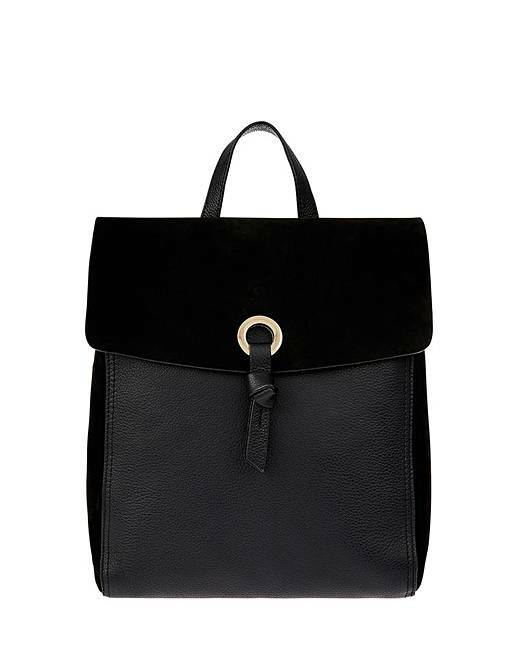 Everyday luxe is made effortless with our ring-tab leather backpack. 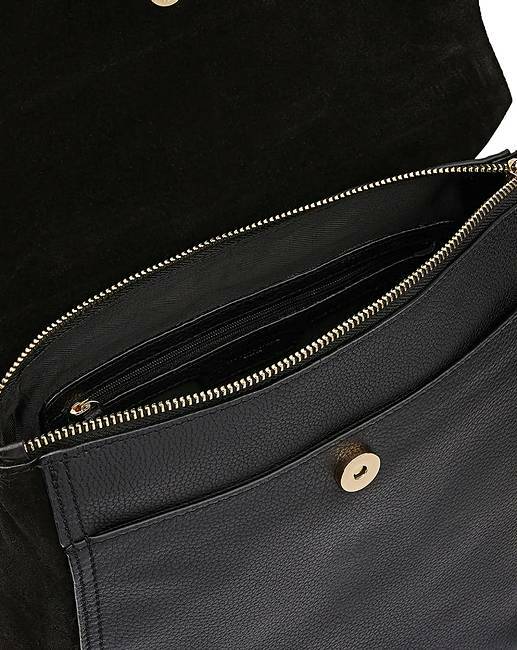 Created with a suede top flap and polished hardware, this secure design features both a magnet clasp and top zip to fasten. 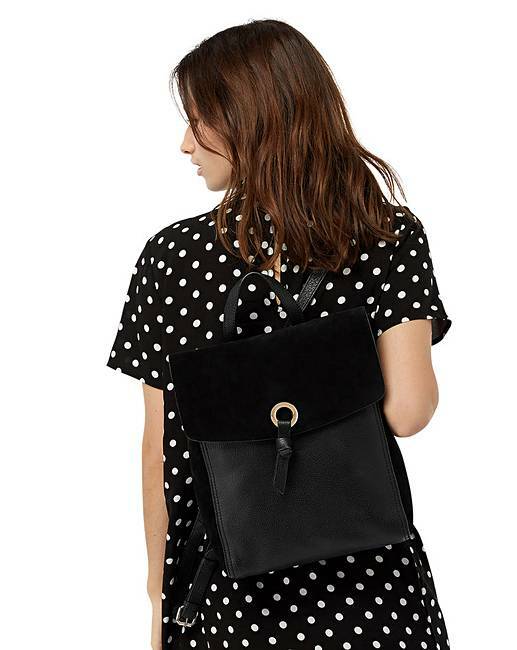 With two inner pockets and a front slip pouch, it�ll be your sidekick from work to weekend. 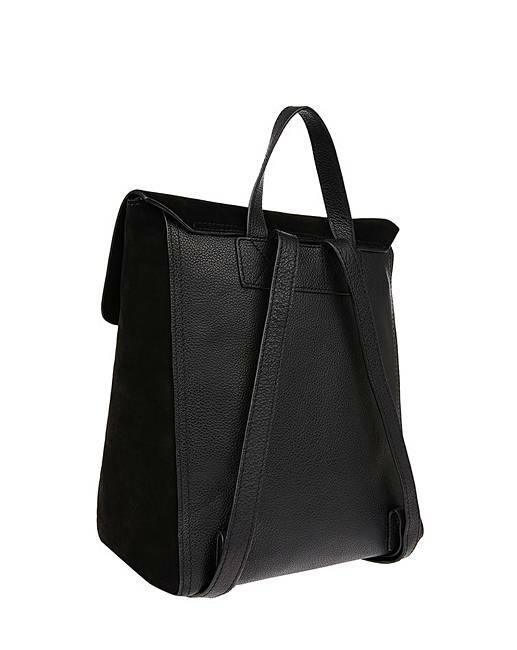 Features adjustable shoulder straps.